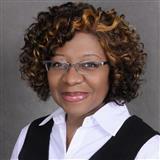 "The purpose of this testimonial on behalf of Marsha B. Washington is so that I can share the honest experience I had with her over the last one and a half years. I was referred to Marsha when I saw that continuing to make my mortgage payments was not going to be an option in the future. I, like millions of Americans was facing the worst financial crisis of my life; everyone has their own horrific story, and certainly there are those that are worse than others. I consider my circumstances average in this very tumultuous time... I had a great paying job in 2007, and I was let go.. I had LIFETIME ALIMONY and child support and that was abruptly terminated in 2008 when my ex-husband fled the country.. I was able to manage for awhile, living off of my savings, but I knew sound decisions needed to be made, and that's where Marsha came in.From the day I met her, I had no doubt that she would be my strength and would lead down the path that would make the most sense for me. This was emotionally the toughest time I have had to face, and there were many days that Marsha would witness me breaking down. After all I had to tell my children we would be loosing our house, I was struggling to just find part time jobs and for the 1st time I would apply for energy assistance as well as food stamps.We both agreed that trying to hold on to my house was NOT an option for me, and so she laid out a plan in hopes of selling my house as a "short sale". But Marsha knew how important it was to me to keep my kids in the house for as long as possible -so that the point of transition could be the best possible for them.. She made that happen, and never thought twice about it. But understand that Marsha's plan needed my cooperation, as this was a process that involved acting on her suggestions and advise. Had I not done so, my house would have been foreclosed. Although my credit has suffered, Marsha helped me thru the process of dealing with my creditors successfully, and now I am on the road to rebuilding a new life.Marsha has a wealth of information and resources to share with anyone who wants to listen, and has the need to move forward from their economic crisis; but just remember that she can't do it alone, it must be a team effort. Marsha was my lifeline.....Thank you... "
"We are a newly married couple less than two years. Back in June of 2009 we began looking for a house and Marsha was recommended to me by my daughter. The first day we met Marsha we fell in love with her. She is very dedicated, hardworking,and a knowledgeable Realtor. She made our house hunting experience which became frustrating at times pleasurable. Trying to find what you're looking for in the price range and in the time frame can be very challenging but Marsha has the dilligence, patience and the understanding that we needed. Within 6 months of us starting to look for a house, we have closed and moved into our new home. I believe that if it had not been for Marsha, that would not have been possible. Thank you Marsha, we love you friend!" "I wish I had met you earlier when I found out my parents house when into foreclosure. Not only did you educate me on the process, you were able to find me a buyer quickly. I am very satisfied with your service and I will highly recommend you to anyone." "My house had been in foreclosure for almost a year and my mortgage company was not willing to work with me for a loan modification. I made contact with Marsha this past summer and with her guidance I was able to mediate with my lender. Her knowledge and assistance in this situation was phenomenal. My interest rate was lowered 5% from my previous rate and I can now keep my home thanks to Marsha." "As an Investor, my experience working with Marsha has been tremendous. Unlike most Real Estate Agents, she's proved to be honest, listened to my needs, offered creative ideas, and truly understood my mentality. I highly reccommend her services for your real estate needs."